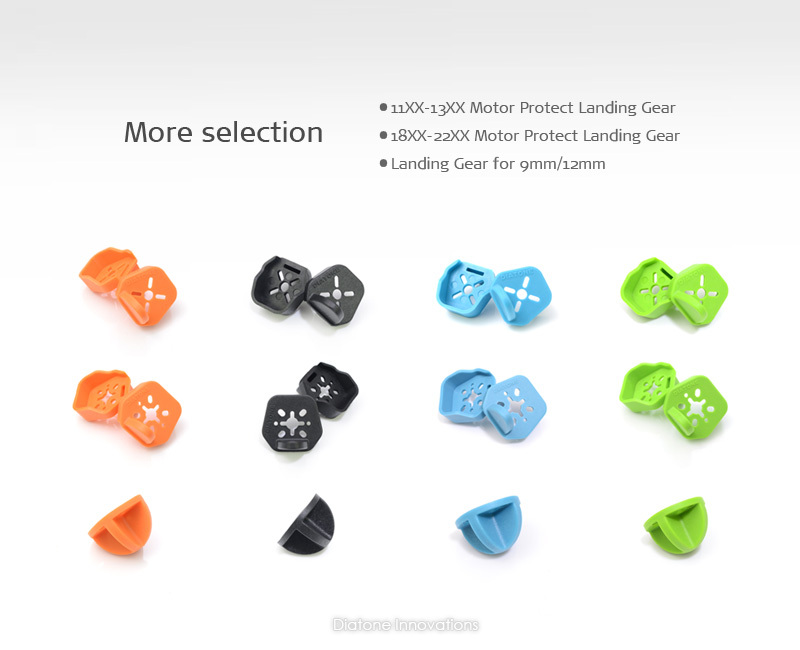 DIATONE Motor Protect Landing Gear has 1106/1306 and 1804/2204 two types, 10mm height guard bar protects motor from damage and hard landing. Injection mold from reinforced nylon composite materials, every joint design as round edges to disperse the impact force. Note: Confirm the Motor Protect Landing Gear is suitable for you frame or not, please refer to the size in the picture below.